719,00€ tax incl. 719,00€ tax incl. Buy your ABB inverter UNO-DM-3.0-TL-PLUS-B at the best price - online only. This residential single-phase inverter is ideal for medium sized installations up to 3 kW. It does not have a transformer and provides maximum efficiency (up to 96.8%) for record performance. The S version contains an integrated DC main switch according to international standards. Easy installation: The installation of ABB inverter UNO-DM-3.0-TL-PLUS-BS is now easier and faster. It hangs higher and the cables can be connected without the use of tools. You will receive a full installation kit with all the accessories, wall hanging, AC and MC4 connectors, screws and bolts, allowing you to set it up quickly. Light: The ABB inverter UNO-DM-3.0-TL-PLUS-B has no transformer but uses a different technology to convert energy. This means it is very light and easy to carry. Moreover, the new ABB makes use of an efficient cooling system without a fan: it runs extremely quietly. 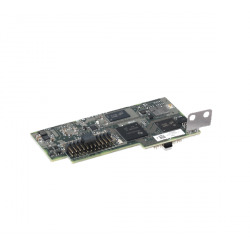 WIFI connection: This inverter comes with an integrated WiFi Internet connection. Connect it to Internet and benefit from free online supervision. Connect your mobile directly to AURORA VISION. Single-phase inverter: The ABB inverter UNO-DM-3.0-TL-PLUS-B is a single-phased inverter. 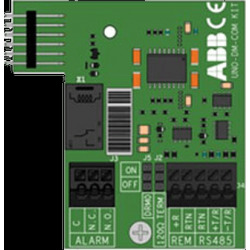 Wifi communication card for connecting your ABB inverters UNO and TRIO via Wifi and monitoring their performance remotely. Measure the consumption of your home and the power injected into the power grid. This meter is connected to AURORA VISION. This meter is also connected to your inverter. It allows you to readjust the power of your solar panels so as not to inject the overproduction into the power grid. ABB inverter PVI is guaranteed over a period of 5 years from the date of purchase. The purchase date is defined as the invoice date of the inverter. During the warranty period, a device becomes defective, ABB will choose, to the extent that this appears neither impossible nor disproportionate, either to repair the unit at ABB or repair on site, replacing it with a type of unit and equivalent seniority. 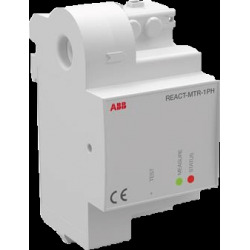 What is the response time of ABB? ABB provided a quick response in case of need of replacement. ABB is committed to deliver the item within 3 to 5 days of notification. ABB usually book the room within 2 days, but may allocate additional days due to weekends, holidays and distant destinations. ABB is responsible for the replacement by ABB personnel or one of our authorized partners. In short, with this ABB program, clients receive all necessary parts and can rely on a ready emergency response team to help at any time. How to use the ABB Warranty ? Contact ABB to report defective devices with a detailed description of the defect and the corresponding error code. The defective unit must be placed in transport packaging for transport to ABB. All warranty services are provided free of charge to the extent that it has been agreed in advance with ABB.